View the entire Course Schedule here. The ‘Baskets to Pallets’ course is hosted by the Cornell Small Farms Program and Northeast Sustainable Agriculture Research and Education (SARE). Thanks to Cornell Cooperative Extension of Monroe, Wyoming and Wayne Counties for supporting this event. Something for everyone...The ‘Baskets to Pallets’ course is designed for farmers of all enterprises and will cover building relationships with buyers, customer management and record keeping, pricing, grading and packaging, uniformity and consistency, and food safety, among many other topics! This fun course includes plenty of hands-on activities and opportunities for peer learning and small group discussion. New! Choose the most useful sessions…A second track of workshops lets you can choose topics most suitable for your business needs. 9:00am – 10:00am Arrival. Enjoy breakfast refreshments. Noon – 1:00pm Lunch. Enjoy a hearty, hot lunch and socializing. Violet Stone launched the Baskets to Pallets Project in 2014 in an effort to prepare direct-marketing farmers to successfully connect with new scale-appropriate markets. Prior to joining the Cornell Small Farms staff, Violet worked as a farmers market manager, local foods educator and farm direct-marketing consultant. She is also the New York NESARE (Northeast Sustainable Agriculture Research and Education State Coordinator. Before joining the Cornell Vegetable Program, Robert Hadad worked as an Extension Educator, developing programs for growers exploring sustainable and organic production practices. The production and marketing of local foods has always been a passion for Robert. He is also the former owner of a small produce farm in Rhode Island. Today, Robert is the team’s food safety, organic, marketing, and fresh market specialist. Daniel Eggert is the Organic Brand Manager at Harris Seeds. He oversees the organic division which includes expanding the product line, contacting growers to ensure their success, helping with trial varieties, and expanding the brand presence within the organic community. Daniel is passionate about sustainability, becoming self-sufficient, and studying permaculture/biodynamic practices. He loves working at Harris Seeds and helping growers achieve success. Omari Washington is an urbanist with a passion for building strong, equitable communities through inclusive local food projects. Over the past decade, he has been involved in the management of various environmental initiatives in New York City and the Hudson Valley, including MillionTreesNYC, and he has consulted with national organizations, such as National Wildlife Federation and National Urban League. Omari will soon graduate from Pratt Institute with a Master’s degree in Sustainable Environmental Systems. Tanya Moyer is the owner of Mulligan Creek Acres, a small scale, natural, pasture based farm. Committed to sustainable agriculture and providing the animals a stress free life, Tanya has sought out purebred Berkshire pigs, meat chickens and turkeys for the farm. Tanya’s mission for the farm is to rebuild and conserve the land’s of Mulligan Creek so the animals have the best possible, natural environment thus resulting in the most flavorful, nutritious food. Laura Biasillo is an Agricultural Economic Development Speciailst with CCE-Broome County, in Binghamton NY. In this position she focuses on increasing marketing channels for producers, creating education programs focuses on new skills and technologies and facilitation farmland protection and development initiatives with the county. Longtime friends Paul Loomis and Chris Flagg started hobby farming many years ago on a heavily wooded flood plain in Hilton with many stories to tell of trial, error, success, and lessons learned. Paul Loomis is now the co-owner of Growing Family Farms, which produces certified organic vegetables, fruits, eggs, and chicken on six sandy acres central to Rochester’s west-side communities of Hilton, Greece, Spencerport, and Parma. The ‘Baskets to Pallets’ course is designed for farmers of all enterprises and will cover building relationships with buyers, customer management and record keeping, pricing, grading and packaging, uniformity and consistency, and food safety, among many other topics! This fun course includes plenty of hands-on activities and opportunities for peer learning and small group discussion. The course includes one break-out session for livestock and produce farmers. Additionally, the training includes an end-of-day session to start crop-planning for selling to the NNY Food Hub, based out of Jefferson county CCE, during the 2018 growing season. The training cost is $35.00, which enables 2 people per farm to attend and includes breakfast refreshments and a delicious locally sourced lunch each day. Space is limited to 40 participants and early registration is encouraged. Lodging is available at Ridge View Lodge at a discounted rate of $80-90 per night. Reserve by January 15th! The ‘Baskets to Pallets’ course is co-hosted by the Cornell Small Farms Program, Cornell Cooperative Extension of Jefferson County, Cornell Cooperative Extension of Lewis County and funded via Northeast Sustainable Agriculture Research and Education (SARE). Violet launched the Baskets to Pallets Project in 2014 in an effort to prepare direct-marketing farmers to successfully connect with new scale-appropriate markets. Prior to joining the Cornell Small Farms staff, Violet worked as a farmers market manager, local foods educator and farm direct-marketing consultant. She is also the New York NESARE (Northeast Sustainable Agriculture Research and Education State Coordinator. Before joining the Cornell Vegetable Program in 2005, Robert Hadad worked as an Extension Educator both through the North Carolina State University Cooperative Extension Service and the University of Kentucky Cooperative Extension Service, developing programs for growers exploring sustainable and organic agricultural production practices. The production and marketing of local foods has always been a passion for Robert through his previous Extension work and as a former owner and operator of a small vegetable and fruit farm in Rhode Island. Today, Robert is the team’s food safety, organic, marketing, and fresh market specialist. As a CCE Business Management Specialist, Liz provides research and extension support to growers in ENY in farm business management, business planning and risk management and agricultural economics. She as experience as the director of the Center for Rural Development at Louisiana Tech University and most recently worked with CCE in both Ulster and Sullivan Counties as a program leader in Nutrition and Consumer Programs. Crystal works as an extension vegetable specialist for CCE, focusing on organic horticulture, small and beginning farmers assistance, and basic farm business management. She worked as Regional Extension Educator with the SDSU Cooperative Extension providing horticulture support, and originally joined CCE as the horticulture and agriculture educator in Fulton and Montgomery counties. Betsy is Regional Livestock Educator for CCE’s NNY Regional Ag Team and is also a local educator for St. Lawrence County. In this dual role, Betsy leads the NNY Livestock Team, a group of Extension Educators from across Northern New York. Betsy is a member of Farm Bureau and the Empire Sheep Producers Association as well as a member of several advisory boards. Lindsey is an Agriculture Business Development and Marketing Specialist for CCE’s Harvest NY Team that is affiliated with the Northern NY Regional Agriculture Program. She serves Clinton, Essex, Franklin, Jefferson, Lewis, and St. Lawrence counties. She has previously worked as a horticulture field technician for CCE, and she owns Adirondack View Vineyard. New! Choose the most useful sessions…Day 2 offers all-day break-out sessions so you can choose which topics are most suitable for your business needs. Video (above): Watch farmer Phil Munson describe advantages of selling to Headwater Food Hub. Do you serve refugee farmers? 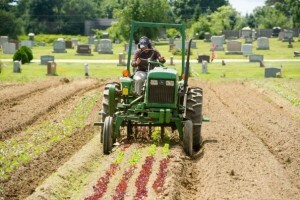 Groundswell Center for Local Food & Farming and the Cornell Small Farms Program are seeking to identify organizations who are working with refugee populations engaged in agriculture in New York State. If this describes your organization, please take a minute to fill out a short questionnaire describing your work. We will compile a Directory based on the responses and share back with all who provided information to increase networking and resource sharing. Please complete the questionnaire by June 15th. 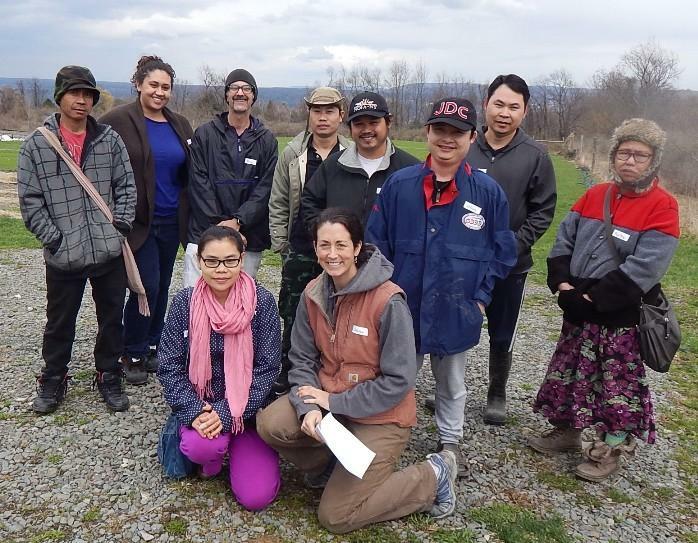 To learn more about our project, “Advancing Agricultural Support and Training for Refugee Farmers in Central New York”, please contact Adriana Pickett at adriana@groundswellcenter.org. Are you looking to diversify sales beyond the farmers market, CSA and farm stand? Food hubs, grocery stores, restaurants and cooperatives are looking for your products to meet growing consumer demand for local and sustainably produced food. Yet, doing successful business with wholesale buyers requires planning and preparation. session to start crop-planning for selling to the NNY Food Hub, based out of Jefferson county CCE, during the 2018 growing season. Violet launched the Baskets to Pallets Project in 2014 in an effort to prepare direct-marketing farmers to successfully connect with new scale-appropriate markets. Prior to joining the Cornell Small Farms staff in 2007, Violet worked as a farmers market manager, local foods educator and farm direct-marketing consultant. She has a Certificate in Agroecology from the UC Santa Cruz Center for Agroecology and Sustainable Food Systems. She is also the New York NESARE (Northeast Sustainable Agriculture Research and Education State Coordinator. Catherine Moore is the Agriculture, Natural Resources & Fort Drum Issue Leader at Jefferson County Cornell Cooperative Extension. Cathy is the coordinator of the NNY Food Hub, a regional initiative to help local producers expand their production and become more competitive in the marketplace. The hub serves an area that includes Jefferson, Lewis, Oswego, and St. Lawrence counties. Have you noticed our new look? Yes, we’ve merged our sister site, the Northeast Beginning Farmers Project, with the Small Farms Program website. You can now find all the great features of both sites in one place, but excuse some broken links. We’re working to address them as soon as possible! If you need help finding a favorite spot, head over to our contact page and send us an email. Please note, our ‘Who Can Help Map’ of agricultural service providers across the Northeast is not currently available. We’re working to get it back up and running as soon as possible. Meanwhile, if you’re in New York, visit our ‘Local Contacts Map‘ to find the Cornell Cooperative Extension agent closest to you or check out the CCE Regional Teams directory. Increasing production on the farm can often require investments in equipment to improve labor efficiency, productivity and profitability. Are you a farmer who is interested in scaling up farm production through investment in your first tractor or upgrading to a bigger piece of equipment? Are you a beginning or experienced farmer who wants to understand tractors better and to use them and care for them more safely and efficiently? The Cornell Small Farms Program will be hosting several upcoming workshops on the basics of tractor operation, safety and routine maintenance. This two-day, intensive workshop will be led by Shane LaBrake, who provides an unusual and holistic approach to tractor operation, safety and routine maintenance. The class is designed to de-mystify tractors and equipment, empower and inspire, and inform “scale-appropriate” equipment choices and purchase decisions. Sunday, April 23rd and Monday, April 24th at Cornell Cooperative Extension of Allegany County in Belmont, NY. Click here to register. This class is full. Contact Laura Hunsberger at lkh47@cornell.edu to be added to the waiting list. Thursday, April 27 and Friday, April 28 at Cornell Cooperative Extension of St. Lawrence County in Canton, NY. Click here to register. Classes run 9 am – 5 pm each day. Lunch and snacks are included. Cost is $75.00 total for both days. Scholarships are available for military veterans upon completion of the training (reimbursement for registration and partial travel expenses). For more information about scholarships, please contact Dean Koyanagi at drk5@cornell.edu. Participation in each workshop is limited to 12.